Dr. Matthew will help guide you through the complexities of deciding on the ideal treatment option for your smile. Remember, the importance of the tools we use pales in comparison to the expertise we provide and compliance you provide. Just because I use Ezekiel Elliot's cleats doesn't mean I can break through linebackers like he does (I wish). You will find the most common options for care below. 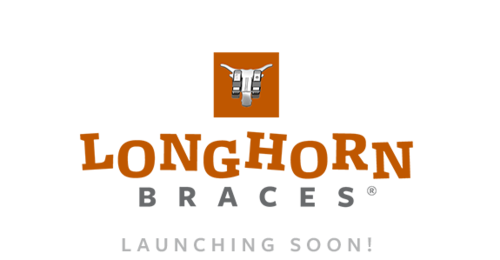 We use the highest quality and most up-to-date orthodontic braces on the market. 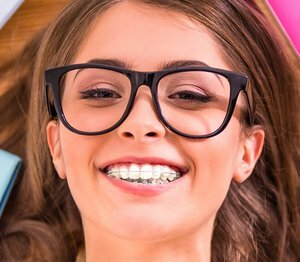 Tried and true, orthodontists have been using a version of this appliance for over 100 years. 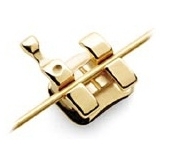 The majority of our patients select these for their predictability and reliability of result. Plus, you get to "pick your colors"! 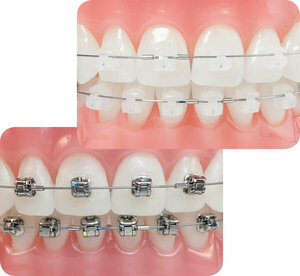 Clear braces are nearly invisible and absolutely incredible at discretely giving you the smile you've always wanted! Want to know something else that makes us different? 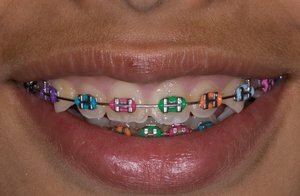 We can place the clear braces on all 20 front teeth, top and bottom. Most offices will place them only 6-10 teeth. If you want a blended-in look, having them on all the teeth is most ideal. 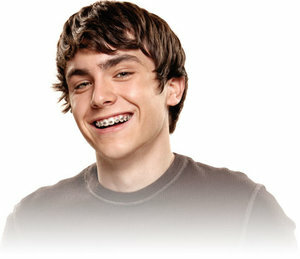 Are you a candidate for Invisalign? YES! 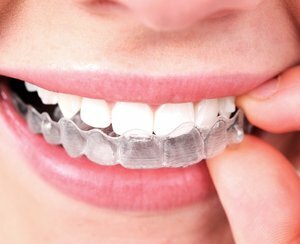 Clear aligner therapy (e.g., Invisalign) is a wonderful option for clear, esthetic, discrete treatment of crooked teeth and jaws. 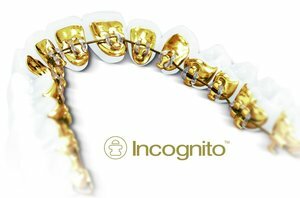 The recent improvements in Invisalign have made it a wonderful option for many patients. Dr. Matthew is an expert in Invisalign and can treat many difficult cases that other doctors would decline. 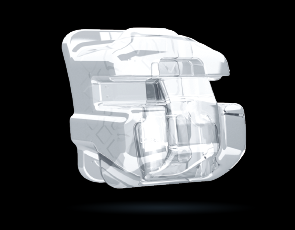 We have an Invisalign scanner which further improves the treatment and reduces treatment time. Let our experience, expertise and technology guide you on your Smile Journey!